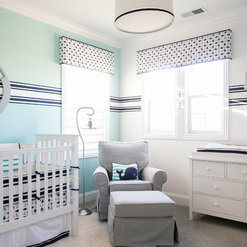 BEST OF HOUZZ WINNER MULTIPLE YEARS! REJOY INTERIORS, INC., an award-winning design firm, provides luxury interiors for high-end residential and boutique commercial projects. Design Principal Rejoy Marsella believes when your home beautifully communicates who you are and aligns with your personal lifestyle, you will experience a sense of peace and comfort. 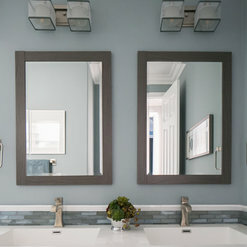 She says, “When our homes are harmonious, so are our lives.” Recognized by her ASID peers, Rejoy has received multiple Platinum and Gold Awards for Excellence in Bathroom, Bedroom and Special Spaces Design. Riviera Magazine named her as one of Orange County's most Dynamic Women in 2014. In addition, her work has been featured on the hit television show "Merge with Lisa Rinna". 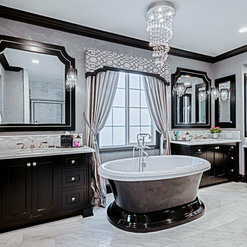 Best of Houzz 2019, 2018, 2016 & 2015--Featured as one of Rivera Magazine's Most Dynamic Women of Orange County 2014--Recipient of multiple ASID Platinum and Gold Awards for Excellence in Design--Featured Designer on hit television show, Merge with Lisa Rinna. 25 Projects for Rejoy Interiors, Inc.
19 Reviews for Rejoy Interiors, Inc.
Rejoy is the epitome of professional. 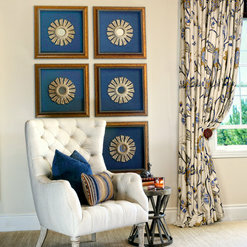 She pays attention to every detail in a room, making sure each piece is performing perfectly for the overall design. I am so impressed when working with her. I trust her vision, and the results are always stunning. Thank you Jeanine! You are a dream to work with as well! Your talent is beyond extraordinary! I've seen some of designs made by this firm and I was somehow impressed. So, I had decided to hire them, great call! I must say, this is a top quality interior designer. Rejoy is honest and creative with really great insight for working with all personalities and tastes. Her knowledge and creativity level was beyond exceptional. Now, a lot of my friends would like to hire her and the entire team after they had seen my house. Rejoy's work is amazing. We couldn't be happier with how the rooms she has decorated for us have turned out. We get so many compliments from family and friends. Rejoy's ideas are unique and creative but still reflect the style my husband and I love. She is extremely professional and personable and fun to work with. I highly recommend Rejoy. Thank you Amy! Working with you has been a true pleasure and thank you for your kind words. I originally began working with Rejoy Interiors several years ago when I was contemplating a complete remodel of my home. I wanted to work through the house room by room to completely update my home to better reflect my style. Rejoy Marsella has far exceeded my expectations over the years during this entire remodeling process. She quickly understood what I was looking for in the new design and took my home to levels well beyond what I thought was possible. She introduced ideas and designs that made the project really special room by room with every room flowing beautifully into the next. We just completed another room in my home and once again, I could not be happier with her design and the overall look of the finished project. 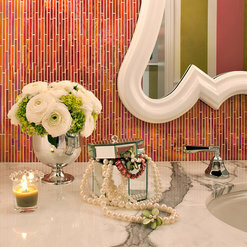 She is extremely professional and thorough, and has made the remodeling of my home a fun and creative collaboration. She works with a wonderful team of contractors that made the experience even easier which has given me great peace of mind that the projects will be on time, on budget and with the highest level of quality possible. 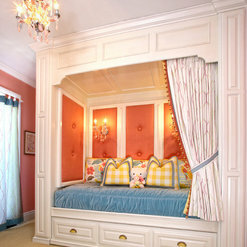 I highly recommend Rejoy Interiors to anyone anticipating any type of design change. Thank you for your kind words Kathy! I have enjoyed working with you and watching your home evolve into something extraordinary. Over the years you have became a dear friend and I have enjoyed watching your family grow. Thank you for trusting me with such a special task...I am grateful. Your design team exceeded my expectations! Your attention to detail, while always keeping in mind the budget, provided quality design at a reasonable cost. I look forward to partnering on future projects. Robert C.
Thank you Robert! I look forward to working with you again as well. I have had the great privilege to work with Rejoy for over 10 years. I am an artist and faux finisher and I work with many Interior Designers, but I have to say Rejoy is the most creative and talented designer I work with. Her beautiful name fits her as she is also a 'joy' to work with. She is personable, confident, and so professional. From start to finish she is involved and on task tying together every detail of the project to make the space exceptional. She has a way of transforming ordinary into extraordinary! Her highest goal is to give excellent service and beautiful designs to her clients, and she always exceeds their expectations. Charee, thank you for your kind words! It's true, together we have created so many beautiful spaces. I'm looking forward to creating many more in the future. Rejoy does it again! First she did an amazing job with decorating our home . 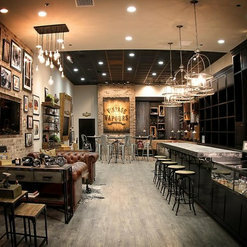 Then a terrific job with our retail store. Now a beautiful job with our new home. Rejoy somehow seemed to know exactly what we wanted. I'm pretty sure it's because she listens! This is why we will continue to use her services again and again. Thank you Rob! I always enjoy working with you and April! I have to say, listening intently has to be one of my valuable tools in the "Design Tool Box". Enjoy all the beauty and luxury we have created! Dear Rejoy , I sincerely want to thank you again for your exceptional service and design expertise for our remodel project in Newport Coast. Your expertise and creativity resulted in a finished product that far exceeded my expectations. I have received endless compliments each time our guests enter the home...especially the Living Room...it turned out to be a show piece and the signature for the rest of the house. It has been a pleasure working with you throughout the process and I look forward to working with you again sometime in the future. Richard C.
Thank you for trusting me with such a special project! I loved learning about your vibe & style and then brining it to life! I have used Rejoy for several rooms/projects over the years and have never been disappointed. Once again, she has taken my "I wish this room looked like.." and not only did she make it a reality, but she made it more beautiful than I had even imagined. Rejoy's attention to detail is what takes something from beautiful, to over the top spectacular! Thank you for your kind words Violet! It was a true pleasure. It was an absolute joy to sit down with Rejoy for an initial, yet extensive, consult for our project. After listening to our design goals and reviewing the plans, she provided invaluable suggestions, recommendations and advice. Additionally, she helped us move past certain obstacles and remain focused on the collective design. We especially appreciate her ability to provide creative options and clearly communicate the pros & cons of each. We are certainly looking forward to collaborating further on this and other projects, as we greatly value her attention to detail, her passion and depth of knowledge. We like to think of our development consultants and contractors as our teammates. With her positive attitude and high level of professionalism, we consider her a valuable teammate and breath of fresh air. Thank you Lisa! It is a privilege to be a part of such a fabulous, creative team of professionals. I am so looking forward to seeing this project come to life. We found Rejoy to be extremely intuitive. When we sat down with her, she really had an innate ability to understand our project, and our design goals and helped to release spectacular aesthetic potential. She is extremely detailed and it is apparent that she not only has a passion for design, but a wealth of knowledge that any client, amateur or professional, will find valuable. Everything from textures, to colors, to lighting, to sourcing and pricing we VERY much enjoyed her direction! 5 stars, We are looking forward to the next consult! Austin, thank you for your kind review! 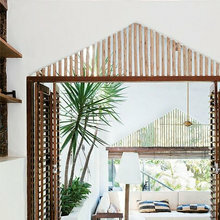 I very much enjoyed consulting and visioning what is sure to be spectacular Malibu home! I look forward to our next consult as well! 8 Ideabooks for Rejoy Interiors, Inc. 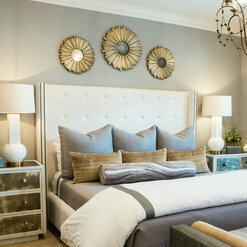 Commented: love the table lamps , Who makes them?I love them too! The vendor is called The Natural Light. If you can't find them, I can sell them to you and we can have them shipped. Fyi, they are customizable and have several options.